Another one of my strange little creatures (I should become a Pokemon artist), this one a perversion of a snail in the direction of a mole. I'm not a huge fan of the name (actually I quite dislike it, so if anyone has a better name I'm open to it). 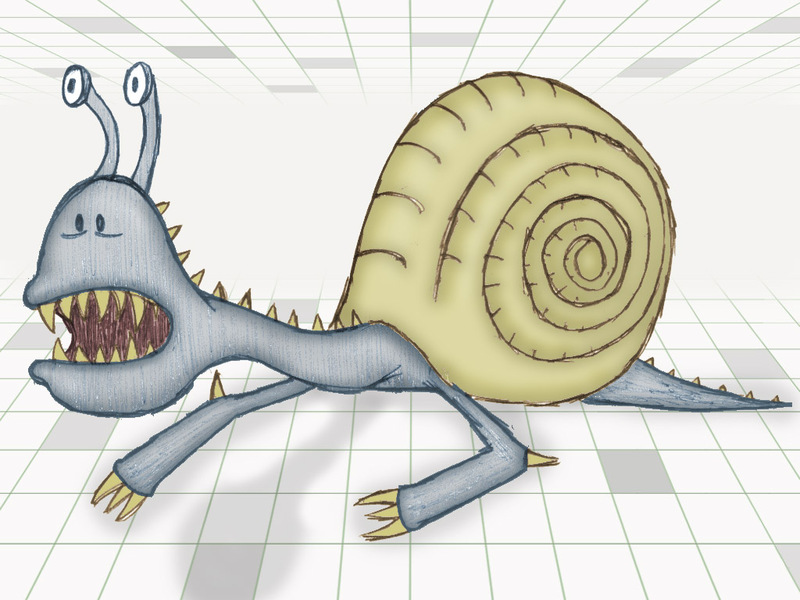 When I revisited this sketch I upped the shading a bit, but in general the Snailmole itself is essentially the same. Instead I spent some time making a way cool background for him, complete with a simple shadow. Definitely one of my favorites right now. It's 1024x768, so it can be used as a background.